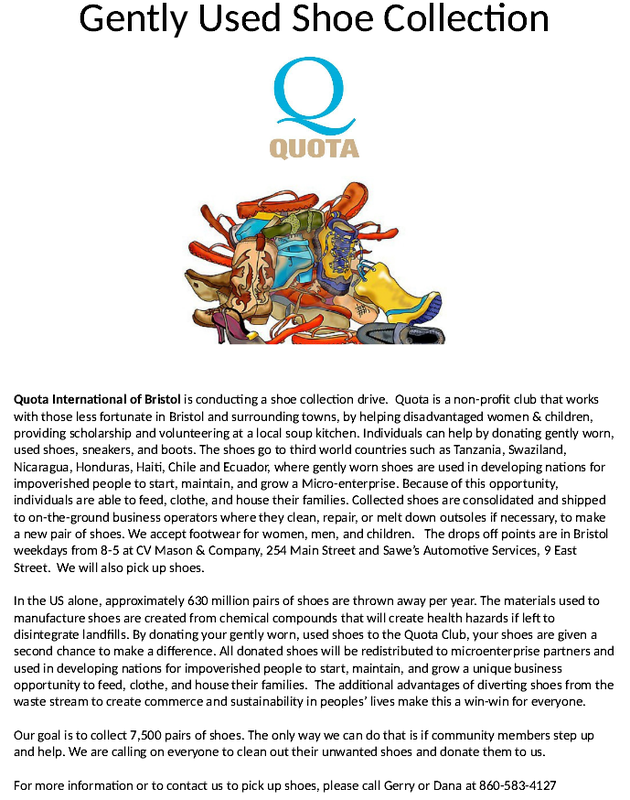 Quota International of Bristol needs your gently used shoes! Please call us to pick up your donation of shoes or just stop by our garage between 8 - 5 and leave them in the office with Darlene, Tim or Kevin. And Thank you!